This is a story of two friends with very different personalities. Duck is outgoing and energetic, while Bear would rather be alone and relax. When Bear shows little interest in going for a walk with Duck, Duck begins to doubt Bear's feelings for him. Bear is nothing but grumpy along the walk, but makes his friend feel better when he admits he does love him. The story and illustrations are humorous, similar to the first book about Duck and Bear, Goodnight Already! Captain Alfred is sailing home with new ducks for his farm and a gift for his wife - an egg in his fiddle case that is about to hatch. An unexpected storm hits and the duckling that has just hatched finds himself alone in the sea and the fog. The duckling finds the captain's fiddle and makes music. The comforting sounds of the duckling's fiddle bring him unexpected friends as well as great happiness. 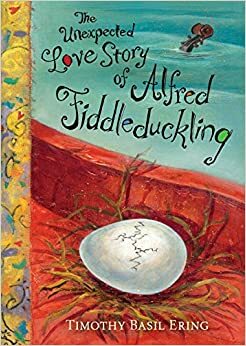 The story of Alfred Fiddleduckling is a little quirky, but it also has a lot of heart with its celebration of love and joy. Ering's illustrations, which draw the reader into the emotions of the story, are absolutely gorgeous. Possum's life has changed drastically since her mother has died. 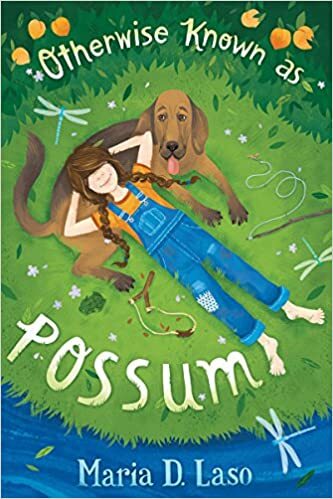 Her father decides to send Possum to school, and Possum, who preferred being taught at home, is determined to prove she is too smart for school. This is a sweet story, set in the 1930's, about a young girl coping with change and the challenges of getting along with others. The afterword explains the backstory of the author who spent a decade writing the book and sadly passed away not long after she finished the book. It was sad to read about Laso's passing. I'm debating purchase-- I need more books from the 1940s-70s. My teachers used to do a unit on the Depression, but have moved it up a bit. I think this book would be appreciated much more by those who have some background into that era. I have some students who like books with spunky-type girls, but I'm wondering if the setting and language in this one might throw my readers (who are struggling readers) off a bit. Otherwise Known as Possum seems very interesting- I can imagine it being a complex adult novel as well! The author also used some great figurative language in the book. Too bad we can't have more stories by her. Oh, I had no idea that the author of Otherwise Known as Possum had passed away. I love the sweetness of the cover, and stories of spunky, determined girls are always welcome. Very sad that she passed away, but wonderful that she was able to leave us with her finished work. All three of these books are new to me Lisa. That is sad about the author of Otherwise Known as Possum. I now have to find a copy of The Unexpected Love Story of Alfred Fiddleduckling just to find out what happens! Alfred Fiddleduckling is my favorite of Timothy Basil Ering's books because it was just so sweet. I love the first one, another great bear book! The others look good, and I will be sure to find Marie Laso's book, Lisa. 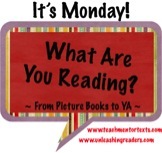 Because it's told in dialogue I think my students will want to read it again and again. I just ordered The Unexpected Love Story of Alfred Fiddleduck from my library. Looks like a cute one! I want to read it multiple times just to keep looking at the artwork. I wanted to get Possum read before it published, but there are already too many in front of it. I liked I Love You Already even better than the first one! 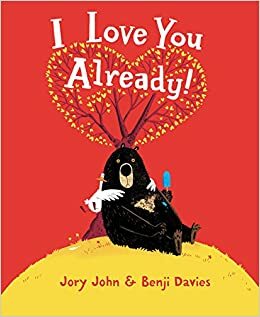 Jory John is such a fun author! Love his books. Oh my, I didn't know that Timothy Basil Ering had a new book out! I love his work. Thanks for sharing!